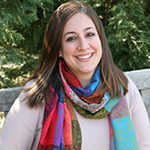 As the Federation’s Esther and Maurice Becker Networking and Mentoring Coordinator, Emily Gilgoff works in collaboration with JVS Career Services to create networking and engagement opportunities that attract and retain Jewish young adults in Cincinnati. A native Cincinnatian, she’s returning to Cincinnati after earning her degree in communication and public advocacy at Ohio University, and is excited to build connections and networks that will create a culture of “rootedness” and a vibrant Jewish future in Cincinnati. Listening to June Zeitlin speak about women in America was just about the only thing that could have gotten me out of bed before noon on a Sunday morning. Her current position as the director for Human Rights Policy for The Leadership Conference combined with an extensive history of activism and advocacy, made June a truly inspiring modern feminist figure anyone would be lucky to see. While her enlightening discussion instilled a true feeling of discontent in her listeners, it was happily met with a healthy dose of empowerment that certainly left me feeling encouraged to participate in the fight for gender equality. While it was impossible to fit each feminist issue in her presentation June was successful in discussing many of the most important concerns facing women in America today including, sexual assault, unequal pay, traditional gender roles, and domestic violence. Perhaps the most riveting topic examined was sexual assault. Her mention of the Brock Turner case highlighted the currently flawed state of our justice system and the true effects of patriarchy on American society long term. In addition to this matter, I really appreciated the portion that discussed the gender wage gap. Here she pointed out instances in which women are paid much less than men and brought up a few reasons for this fact. She suggested that blatant sexism in the workplace and the social construction of gender that leads many women to pursue lower paying or more “feminine/domestic” jobs are some of the main factors responsible for the gap. It was also refreshing to hear the wage gap discussed without excluding the fact that women of color receive even less than white women in comparison to men. Her thoroughness and efforts to be inclusive were truly appreciated. Although collective gasps from the audience were heard at different points throughout the entire lecture, it was toward the end that we may have experienced the largest degree of shock. It was at this point that she began to explain that the United states is just one a few countries who has yet to ratify The Convention on the Elimination of all Forms of Discrimination Against Women (CEDAW), which is basically the international bill of rights for women. Although learning this fact was disappointing for all, it may have been the most uniting moment for the audience. Here it became clearer than ever that if there is any hope for equality it has to start with each and every one of us bringing things like CEDAW to light. June’s speech gave attention to one of the most important issues of our time. By highlighting significant manifestations of bigotry in our society she was able to light a fire in the bellies of each of her listeners that Sunday. A lot can be learned by listening to individuals like June Zeitlin and I look forward to seeing the change enacted by those who are lucky enough to hear her speak. Anna Valentine is a 4th year medical student at the University of Cincinnati and soon-to-be pediatrics resident at Nationwide Children’s Hospital in Columbus, OH. She was first introduced to Beth Adam last year via her girlfriend Iah Pillsbury, the ever-fabulous Rabbinic Intern. Having just finished reading Kevin Roose’s The Unlikely Disciple: A Sinner’s Semester at America’s Holiest University, a book that chronicles a Brown University student’s experience studying for a semester at the Evangelical Liberty University, I very was excited to hear that Bart Campolo was coming to Beth Adam. For full disclosure, about 5 years ago my sister became a born again Evangelical Christian – and as her gay sister whose career is grounded in science and data, you can imagine the tension that this has created. My sister’s conversion sparked an interest in me, though, to understand how her religious transformation happened as a young adult. What was it about that community that lured her in, and what keeps her there now? Bart’s talk corroborated what I had gleaned from my recent examination of the Evangelical world: that the community aspect of that particular religious experience plays an enormous role in its success. Of course to actually become an Evangelical Christian, one must buy in to the process of being saved and taking Jesus as their savior, which in my opinion seems like the single hardest selling point, as it requires faith in the supernatural. So, what if we take that part out? We’re left with a community that comes together to try to better the world with others who share their values and moral structure. We’re left with Bart’s student group at USC. We’re left with Congregation Beth Adam. And although I’ve only recently been introduced to Beth Adam, it’s been thrilling to experience a community where everyone is there to do good with likeminded people and share cultural traditions in a way that fits into a modern and socially conscious worldview. I think Bart’s commitment to creating a community for humanists, full of enthusiasm and meaningful engagement, is one to be applauded. The fact that he has an elevator pitch prepared to artfully explain who humanists are is great. In the end, I like the “what” of Bart’s work. But after hearing him speak more at lunch about the “how”, I’ll say that I wasn’t quite sold. When he spoke of kicking people out of his different communities because he and other community elders thought that they weren’t the right fit, suggesting those who are too different should create their own communities, I paused. Doesn’t community growth spur from warmly welcoming new members who are interested in joining? Don’t communities become richer and grow through including a more diverse membership? This is where I think Beth Adam differs, and even supersedes, Bart’s model. That this congregation is the only one in the area where many interfaith families feel welcome to celebrate their Jewish identity alongside other traditions I think is an asset rather than a detractor. Diversity opens us up to growth and helps us challenge our own biases. I think we can take pointers from how Bart recruits and engages new members, especially young people, but as far as policing who is and isn’t welcome, I think Beth Adam comes out on top. Megan Harkavy was born and bred in Baltimore, Maryland and is a die-hard Ravens and Orioles fan! Following her undergraduate studies at Towson University, Megan served as the Steinhardt Jewish Campus Service Corp Fellow at the University of Georgia. She went on to receive a Master in Social Work from the University of Maryland, School of Social Work and a Master of Arts in Jewish Communal Service from Baltimore Hebrew University. She spent 5 years serving as the Baltimore Diller Teen Fellows Coordinator where she facilitated a 15-month Teen Leadership program in leadership, community service, Jewish identity, and Israel that culminated with a 3-week Israel trip. Most recently, Megan served as the Director of Leadership and Engagement for Art with a Heart, a visual arts non-profit, where she created and launched a new teen leadership program that brought together underprivileged and privileged teens to learn about all of the different issues that face the Baltimore community. Megan is thrilled to be back in the Hillel world and looks forward to meeting all the students at Miami University of Ohio. I really did not know what to expect when I walked through the doors of Beth Adam on Sunday, April 9th to listen to a former evangelical Christian now a secular humanist. I had never been to a humanistic synagogue before and, frankly, I could not grasp the meaning of secular humanism especially as it applies to being Jewish. I grew up in a very traditional Jewish home in Baltimore, Maryland and attended a Jewish Day school from the age of 5 through high school graduation. I belonged to a Modern Orthodox synagogue and was very active in a non-denominational, pluralistic youth group. God has always been essential to my Judaism and I could not imagine what humanistic Jewish life was all about. Bart Campolo opened eyes and my mind that morning. I thoroughly enjoyed listening to him and learning about his life and the journey he went through to become the person he is today. I understand that life changing events could impact my personal journey leading to changes in my own belief system. Even though Bart was an Evangelical Christian for close to 30 years, he realized that he did not believe in what he was preaching and even felt guilty about proselytizing. He realized that it is not about beliefs but it is about our values and how we hold onto our values. Bart said, “to be a secular humanist, you need to believe in three things: building loving relationships, doing work that matters and having wonder and gratitude with the world.” He then went on to speak about the importance of living in the present moment. He said he does not believe in heaven or hell so if this is all we get, then he wants to make the most of it. It was at that moment that I really started nodding my head, being absorbed into the conversation and the humanistic belief system. But, at the same time, I found myself questioning humanism because I thought I was set in my beliefs. I too believe in having values, building loving relationships, and doing work that matters. Having wonder and gratitude with the present world needs to be a critical part of my life to live my life to the fullest. Another enlightening moment for me was when Bart spoke about the importance of community. Community is unquestionably my favorite aspect of being Jewish and, for me, the beauty of being Jewish is having a community to support you no matter what. I could relate to many aspects of the concept Bart shared and felt like I was a part of the community in the room. Rofei chawl basar umafli la’aspt. I couldn’t believe the juxtaposition of my morning and realized that I am on an ever-evolving journey. Tyler Roe is the Assistant Director of Integrated Marketing at the University of Cincinnati Foundation and the Marketing and Public Relations Manager for Linton Chamber Music. 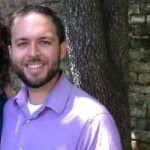 A lifelong musician and arts advocate, Tyler holds degrees from Transylvania University, Florida State University, and the University of Cincinnati, where he completed the dual-master’s degree program in Arts Administration and Business Administration. Professionally he has worked with the Kentucky Symphony Orchestra, the Constella Festival of Music and Fine Arts, the Brevard Music Center in Brevard, NC, and regularly volunteers with numerous arts organizations throughout Cincinnati. A proud East-sider, Tyler lives in Mount Lookout with his wife Helene, cat Eloise, and beagle Darwin. Sunday’s conversation with violinist Daniel Hope touched on topics from the inspirational to the tragic. Hope shared his personal journey, not only to performing music internationally, but also to discovering his own heritage, identity, and voice. He shared stories of composers whose voices were silenced during that Holocaust, as well as those who escaped and went on to influence the future of music. Yet for the variety of topics discussed, the prevailing theme can be summarized in a single word – history. Consistently, Hope’s stories demonstrated the importance of knowing and understanding history: not simply because our past informs our future, but because we are shaped directly by those who come before. One can examine these individual histories, and the lessons gleaned from them inspire, inform every facet of life, and teach valuable lessons. Stories of the artists imprisoned in Terezin convey a powerful message about the importance of oart during even the darkest times. Not only did the ability to create and share new art provide much-needed hope, it left a legacy that outlived its authors as it prevailed and lived on, even against the will of those who tried to silence it forever. It is inspirational that new works were written, performed, and shared throughout the Holocaust. And it is awe-inspiring that this music is still being discovered today, as manuscripts lost to time are uncovered in the wreckage of past lives. Yet a larger question stems from the history of those composers who survived. They went on to shape the soundtrack of the twentieth century, creating new styles and establishing the “Hollywood sound” still used by film composers today. From their stories one must ask what might have been…What would or world look like now if all the passionate and gifted artists that were lost had survived and joined their contemporaries in rebuilding after the war? Our art, our culture, and our history were shaped not only by those who survived, but by the absence of those who did not. As we debate our country’s values and future today, the lessons of history seem especially important. As Hope put it, “You cannot force someone else to have an opinion, but you must provide them with the information needed to have a dialog.” We live in an age in which information is more readily available than ever and communication can instantly reach around the globe. Yet this makes it so easy to only surround ourselves with like-minded voices that we can forget to listen to those who do not agree with us. With limitless opportunity, we risk losing the ability to be challenged by views other than our own. We deprive ourselves of the growth that can only come from openly discussing and debating new ideas. We cannot assess where we are heading without properly understanding where we have been; likewise, we cannot fully understand our own experiences, our own faith, and our own opinions without considering those of others. Studying history, debating ideas, and creating art are about more than the pursuit of knowledge, they are the foundation of determining who we are, and what legacy we will leave those who follow.